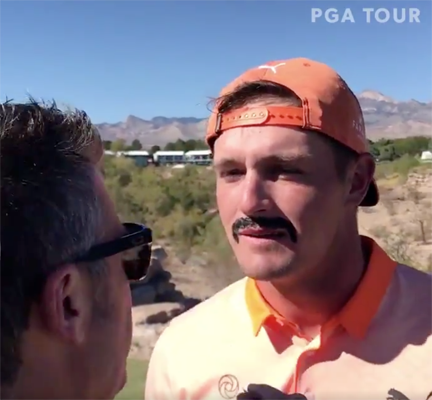 Bryson DeChambeau decided to celebrate Halloween by going as Rickie Fowler. The two are repped by Puma so there’s that. I applaud the effort but not sure about the outcome. Fowler had fun with it at his Wednesday presser at the Shriners Open in Las Vegas. Gotta agree that the ‘stache needs some work but that’s what Halloween is all about. It’s also nice to see the usually tightly wound Bryson having some giggles.